I did not know the man Phillip Hughes – aka “Hughesy” or “Boof” – but I saw him play many times live and on TV. The situation that unfolded this week, bringing the cricket world to a standstill, truly hit home when I attended a women’s Twenty20 game between the South Australia Scorpions and the Australian Capital Territory Meteors on Friday, at Adelaide Oval No. 2, behind the spectacular main ground. 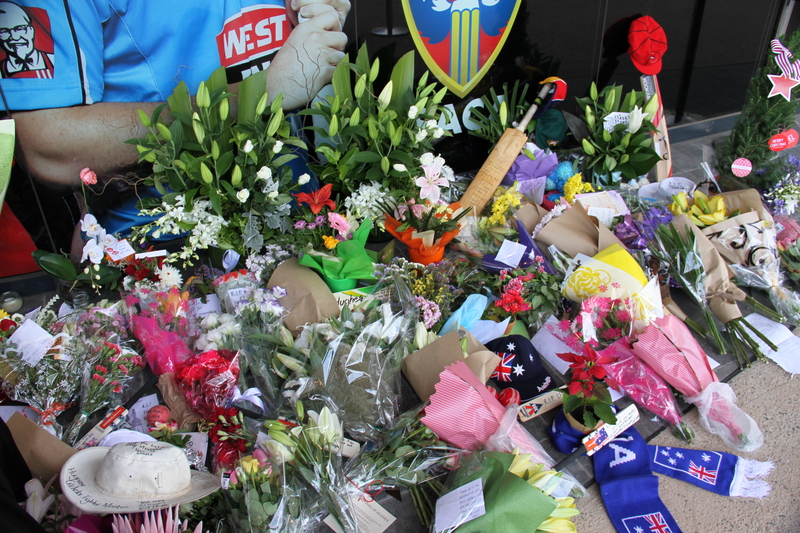 Walking past the south side of the Adelaide Oval, I passed the memorial set up for tributes to Hughes. I was so touched by some of the letters I briefly read and the effort some people had gone to laying down a parting token of appreciation. The effect that Hughes’ untimely death – being hit by a cricket ball at the Sydney Cricket Ground – had on the cricket field on Friday was fully felt when I approached the No. 2 oval. Both teams were very quiet going about training drills, and barely a word was uttered on the boundary – only whispers; a far cry from the usual jovial moods during warm-ups. 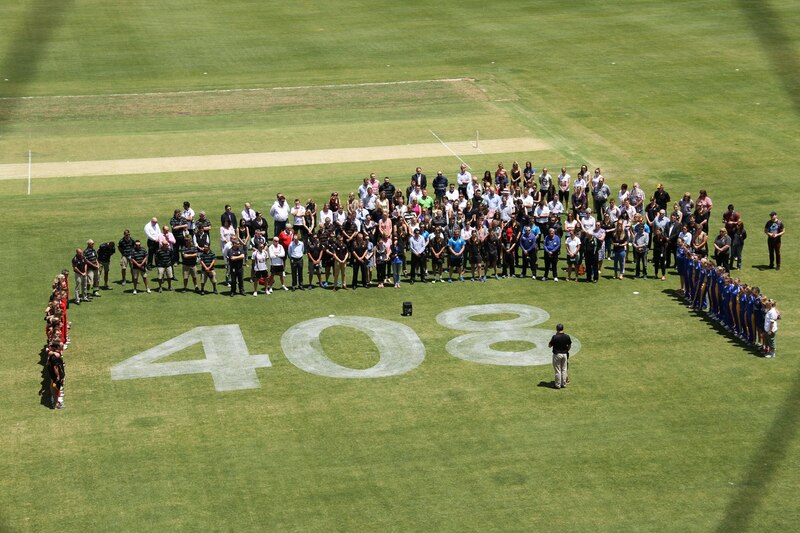 A very appropriate tribute was made to Hughes, with the number 408 spray-painted in bold digits. Every player and the two umpires wore black armbands. It shows just how much of a connection there was to Hughes, after he moved from home state New South Wales to play with the Redbacks. Everyone who was on the ground to observe the minutes silence huddled around the 408. Taking photos today proved to once again be a very enjoyable task, but I felt there was a black cloud hanging in the air. The small crowd situated near the main road that runs alongside the oval was sombre. South Australia’s pre-game huddle was very hushed, yet so powerful – conveying the message to use the emotion of the past few days as a driver to achieve a special win, in honour of a fallen peer. 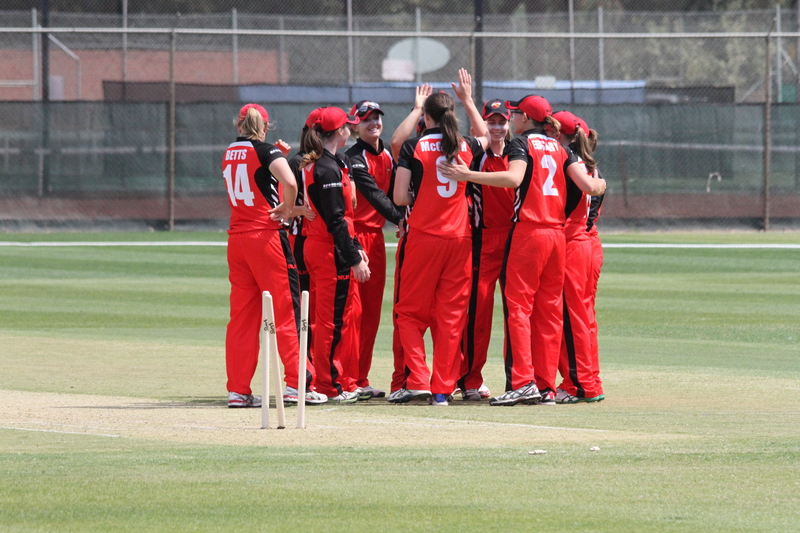 The Scorpions inflicted considerable damage on the ACT bowling attack, then followed up their aggressive batting with tight, disciplined bowling that found rewards regularly. It was the kind of attitude Phil Hughes might have taken if he were playing – in a way, a reminder he is looking over us from somewhere “up there”. Watching the Scorpions celebrate their big win summed up just how much they wanted to show team spirit. Every minute of the match was played with the knowledge of what happened on Thursday afternoon. To watch cricket played after a tumultuous few days echoes the words of Phillip’s parents, Greg and Virginia, who have a desire to see the first test to be played. Like many, I believe the test at the Gabba should go ahead and serve as the start of a tribute for the 25-year-old left hander. However, I follow Cricket Australia’s sentiment that the players need to be ready, and I acknowledge that some may not be mentally prepared. I made my way back to the memorial after the game to write a message on the book that had been left for supporters to sign, and broke down in tears immediately. The cricket community is a wonderfully tight, worldwide unit. Being so close to it on Friday afternoon felt like a ton of bricks falling off a perch. My hand shook as I wrote my message. I thought I had nothing to put on the huge layout of flowers, old cricket bats and letters, but then I found what I wanted – the cricket hat I was wearing. It felt a fitting gesture to a man who spent many of his days in the sun with a hat, ball and bat. Trying to write was so much harder, the tears were blurring my vision and I was shaking badly. A few others had wandered over to the display, and their emotions were identical to mine – so close to Hughes’ heart without ever having the chance to meet him. It took me another ten minutes before I was able to walk away from a shivering sight. The support of the world – and, closer to home, while I was away in Adelaide – conveys just how much Hughes was loved in cricketing circles. It was special to put something down for a player I loved watching and always advocated would get better. My heart goes out to young Sean Abbott, who was only doing his job for New South Wales, trying to send his former teammate back to the shed. Everyone’s a fighter, whether that be for a short or long time. Phillip Hughes, I hope you’re doing well up there. The cricket community misses you.